On Saturday, March 25, 2005, Gus’s sponsored a six-hour benefit starting at 5 a.m. raising funds to thank the Mount Joy Fire Department for saving the restaurant from a devastating New Years Eve fire. 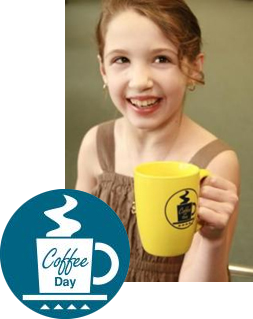 us’s Keystone is a proud supporter of Schreiber Pediatric and the nearly 4,000 children it serves each year by purchasing a $1 COFFEE DAY™ Card during its annual two week campaign. On COFFEE DAY™, these cards can be redeemed at any of the participating restaurants for a free cup of coffee, or equivalent beverage. Gus’ has been honored to participate in the annual program since 1981, raising over an estimated $60,000 dollars for the children at Schreiber Pediatric. Check in with Gus’s Keystone each spring to find out when the event will be sponsored and to help make a difference!